Onam or Thiruvonam, is the most popular festival in Kerala; in fact, this is actually considered a state festival. This secular festival brings all Keralites together, rising over the boundaries of caste, creed, religion, culture and financial status. Malayalees believe that their favorite ruler, the Demon King Mahabali, comes to visit them at this time. In order to welcome his arrival, they prepare sumptuous feasts and sweetmeats and prepare elaborate floral rangolis (designs made on the ground), called Pookalams. Onam is celebrated in a big way in this Southern Indian state, with State holidays starting 4 days, starting on Uthradam or the Onam Eve, to the 4th day of the festival. This festival falls in the Malayalam month of Chingam, in between August and September. 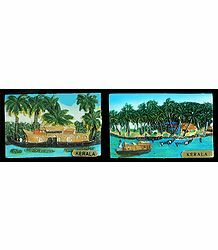 It is celebrated to commemorate Kerala's rich and affluent past and is also the harvest festival of the state. A veritable feast for the senses, this festival also includes the maximum number of cultural events such as Atthachamayam, Pookalam, Pulikkali, Vallam Kali, Onappottan, Thumbi Thullal, Onavillu, Kazhchakkula and many more. Onam is a very ancient festival, one which actually gives Kerala its cultural roots. This rice harvest festival, also considered the Festival of Rain Flowers, celebrates the annual return of Mahabali or Maveli, from Patala (the Netherworld), to God's Own Country. The ruler, affectionately referred to as Onathappan, is believed to be so attached to his land that he pays a yearly visit to ensure that all his subjects are happy and prosperous. They were all free from danger or harm. There was no deceit or theft. And all people formed one casteless race." In accordance with this, the festival was and is truly secular in nature, with people from all communities joining to celebrate is as one people, with equal vigor and verve. Hence, Onam is also responsible for bringing in a sense of brotherhood among all Keralites, creating an all-round atmosphere of joy, peace and wellbeing. This festival is celebrated over a period of 10 days. The major highlight is the Onasaddhya, or the grand feast that is prepared on the day of Thiruvonam. This feast, which celebrates the existence of the then classless society, comprises an elaborate 9-course meal, consisting of 11 to 13 essential dishes. Traditionally served on a banana leaf, this is as much a feast for the eyes as it is to the taste buds! King Mahabali was an asura or demon. However, he was the grandson of Prahlada, son of the demon king, Hiranyakashipu. Prahlada was deeply devoted to Lord Vishnu. His father, though, did not approve of this and challenged Prahlada to show him where his God resided. To this, the boy replied that God was everywhere, in every pillar and every post, why, even in every single atom. 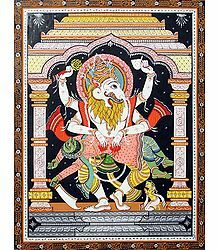 The arrogant Hiranyakashipu kicked a pillar in the palace and was immediately aghast seeing the terrible, violent form of Narasimha (the fourth avatara of Vishnu) jumping out from within it. The half-man-half-lion Narasimha caught hold of the evil demon, put him across his knee and ripped out his innards, killing him immediately. Mahabali had admired his grandfather, Prahlada, and right from childhood, imbibed his endless love and devotion for Lord Vishnu. He was also a brave, wise, pious and a generous ruler; he had the complete loyalty of all his subjects. He soon became the ruler of all the 3 worlds. Seeing his immense progress, the Devas (Gods) started getting jealous and annoyed. They approached Vishnu, requesting him to help subdue Mahabali. Vishnu then decided to test Mahabali. Mahabali, in the meantime, was performing the Viswajith Yagna, also known as the Ashwamedh Yagna, a sacrificial rite one conducts in order to establish one's reign over the whole world. This Yagna was conducted at the banks of the Narmada river, in present-day Bharuch, Gujarat. The King made a promise that he would grant all that anyone ever sought of him, during the course of the Yagna. Vishnu took the guise of a young, dwarf Brahmin, Vamana, carrying a wooden umbrella. This is Vishnu's fifth avatara â€“ Vamana is also referred to as Upendra and Trivikrama. As Vamana approached the Yagna-shala (the place of the Yagna), the sages assembled to conduct the prayers sensed an extraordinary aura emanating from the young, small-built lad. Mahabali rushed to receive him personally and, extending all the traditional honors to him, gave Vamana a seat befitting his exalted Brahmin status. Humbly, Mahabali stated that it was his privilege to welcome such a godly person to this holy event and requested Vamana to ask for anything he desired of him. Vamana simply smiled and told him that he wanted nothing other than a small piece of land covered by three of his own footsteps. Mahabali's Acharya (Guru), Shukracharya, immediately sensed that this young boy with the rare effulgence was none other than Shri Maha Vishnu himself. Warning Mahabali about the true nature of this seemingly unassuming lad, he asked the King not to promise him anything. However, Mahabali would not go back on his word and so, insisted of fulfilling the promise he made to Vamana. Begging Shukracharya for forgiveness for going against his advice, he proceeded toward Vamana. Angered, Shukracharya cursed Mahabali that, as he refused to heed his teacher's words, he would be reduced to ashes. Even on this day, in several parts of Northern Kerala, the Onappottan, dressed in traditional costume, visits every household in that area, showering his blessings on one and all. This, however, is slowly starting to become a rare sight in the more populated areas. The tradition, though, continues in the villages of this region. 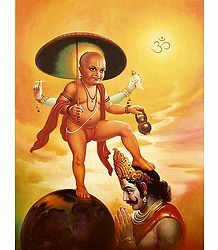 Once Mahabali made his promise, Vamana took a Vishvarupa (gigantic form) and grew in size till he towered above the Heavens. He measured the entire Earth with just one footstep. With the second footstep, he spanned the Heavens. He then mockingly asked Mahabali where he could place his third and final footstep. Realizing that Vamana was Vishnu after all, Mahabali humbly asked him to place his foot on his own head. In doing so, Vamana sent Mahabali down to Sutala, a Netherworld similar to Heaven. The location where Vamana placed his last footstep is considered to be the village of Thrikkakara (literally meaning, "the Holy Foot"), the center of Onam celebrations in Kerala. Ever since the incident, Vamana is believed to be the Dwarapala (Guardian of the Gates) of Bali's palace in Sutala. Vamana granted Bali rule over the Netherworld, also promising him that the King would hold the position of Indra for one Manvantara, thus fulfilling the latter's wish to rule as Indra. As a final gift, Vamana granted Bali permission to visit his subjects once every year. Onam is celebrated to welcome this annual visit from Mahabali. Mahabali, as his very name suggests, is venerated for having become a martyr for the sake of Truth. In fact, his name literally means "Great Sacrifice". Incidentally, it is believed that Kerala's downfall began the very day Mahabali was sent to Patala. Devotees consider that the land that was once flawless during Mahabali's rule is in an ever-increasing state of chaos ever since the benevolent King's departure from it. It is believed that on this day, Mahabali prepares to go on his journey from Patala to Kerala. Major festivities and processions are undertaken in the town of Thrippunithura, which is considered to be the capital city in the ancient times. Even at present, this spectacular "royal" procession takes place with the same joy and verve. A small Pookalam is created on this day and it is called Atthapoo. Comprising only yellow flowers, this is installed in front of each house. Statues of Mahabali and Lord Vamana (the fifth Avatara of Shri Maha Vishnu) are also installed at the entrance of each home. These statues are usually made of clay or earth and resemble conical structures, with a round base, tapering to form a peak at the top. This is the second day of the festival. One more layer of flowers is added to the Pookalam and people start cleaning their house, prior to the main Onam day. The Chothi or Swati nakshatra (star) falls on this third day of Onam festivities. While people keep adding to the Pookalam, they also shop for new clothes and ornaments. Onam is marked by the spirit of gifting friends and near ones clothes and other items. This is considered to be a very auspicious day. Markets used to open their harvest sale on this day, in the ancient times. While this day proves to be very hectic for the business class, it now marks the start of various Onam-related competitions. One of the most popular competitions is the Pookalam competition. The day of Anizham or the Anusha nakshatram is filled with more vibrant activity. Snake boats start to prepare for the Aranmula Uthrattathi Vallamkali, the legendary boat race, which kicks off with great fanfare on this day. A mock Vallamkali is conducted on this day at Aranmula, so as to get the participants mentally and physically ready for the rounds to come immediately after Onam. The sixth day of festivities is marked by particularly heightened celebrations. Schools, colleges and public offices usually start their Onam holidays on this day. People leave their cities to go visit their native homes to celebrate this festival with their near and dear ones. In the meantime, the Pookalams slowly keep getting larger, with flowers of greater variety being added to them. In many Malayalee houses, a mini Onasaddhya (ritual feast) is prepared on this day. The bigger temples too offer special saddhyas from this day on. Cultural events include the Pulikkali (masked leopard dance) and other traditional folk dance forms such as Kaikottikkali. The official Kerala State Government festivities commence on this day, with major Kerala cities such as Thiruvananthapuram, Kochi and Kozhikode being brilliantly illuminated, followed by community fireworks. The installed statues of Mahabali and Vamana are washed and cleaned, before taking them on a procession around the house. They are later installed right in the center of the Pookalam and are smeared with a batter made from rice flour. This smearing ritual, called Poorada Unnikal, is done by small children. The statue is now called Onatthappan. Many Malayalees make their final purchases before the Thiruvonam day arrives. Uthradam is celebrated in a very big way, since it marks the eve of Onam. It is often marked by a frenzy of last-minute shopping, known as Uthradappachil. This day is considered very auspicious to purchase fresh vegetables, fruits and other provisions required by the household. The Uthradam day is also regarded as the First Onam, as it marks the arrival of Mahabali in Kerala. It is believed that the King would be spending the next 4 days in his erstwhile kingdom. Elaborate feasts are prepared in order to welcome him â€“ in fact, the Uthrada feasts are very popular in traditional Malayalee households. Women of the household also cut the first set of vegetables on this day, to mark the start of the preparations for the grand Onasaddhya. The day of Onam is celebrated in the most elaborate and joyous manner. Onam activities begin at the break of dawn. Malayalees take a ritual oil bath; wear new clothes and jewelry and visit temples and their near and dear ones. People warmly greet and wish each other and one can hear the incessant chant of "Thiruvona Aashamsakal" (Onam wishes) coming from all quarters. Special prayers are held in individual homes and local temples and the Pookalam is made the biggest and most attractive on this day. The Onasaddhya is prepared and served at noon, with all the members of the family sitting together and enjoying the meal. This strictly vegetarian meal is served on a banana leaf, after which, the eldest member of the family gifts new clothes to the other members. Various cultural shows, music, dances and games are the other highlight to mark the auspicious day. Elaborate Patassu or community fireworks are displayed to a spellbound audience, gathered especially to witness this show. Festivities continue to spill onto the eleventh and twelfth days too, which fall on the Avitta and Chathaya nakshatrams respectively. However, the major part of the celebrations concludes on the tenth and most important day of Thiruvonam. The 10-day Onam festivities start with the Atthachamayam, which actually marks the beginning of the festival. On this day, one gets to witness almost all the folk art forms of Kerala. Conducted annually on the Attham day of the Malayalam month of Chingam (or Leo), this event is held in a big way in the ancient Kerala town of Thripunithura. It commemorates the legendary victory of the Maharaja of Kochi. In the days of yore, it was a custom for the ruler to undertake a trip, along with his vast entourage, to the Thripunithura Fort. This way, his subjects could also take a look at him. At present, there is no king. However, the procession still continues to be grand and royal and is conducted in the same elaborate way it was done before. The huge procession also includes colorful floats, heavily caparisoned elephants, musical and percussive ensembles, several varieties of folk dances being performed and so on. This parade ably represents the rich cultural fabric of the land of Kerala. The most vital part of the celebrations is conducted at the Thrikkakkara temple, located within Kochi. This was believed to be the ancient capital during Mahabali's rule. Creating an elaborate Pookalam, also referred to as Onapookalam, is one of the most looked-forward-to rituals during Onam. This is a colorful collection of flowers, gathered and carefully formed to create a veritable mat of flowers. This design, painfully and laboriously undertaken, takes its pride of place in front of each and every home. The purpose of creating a Pookalam is to welcome King Mahabali in the best and grandest way possible. Pookalam designs vary from person to person and each one of them involves a huge quantity of flowers of all possible colors and shades. Petals and leaves are also used in order to add that much more color to the creation. Starting with the first day of the festivities, each house continues to add to their existing Pookalam, in order to make it more and more attractive. Some people also erect a mini pandal over the Pookalam, decorating the same with festoons. Pulikkali, which literally means, "the play of the tigers", is a colorful and entertaining folk art, performed by trained artists on all major Malayalee occasions, including Onam. On Nalaam Onam or the fourth day of Onam, performers paint themselves as tigers and hunters in bright yellow, red and black and dance to the rhythm supplied by the Udukku and Thakil. The makeup and painting sessions are long-winding and it takes several hours to get that perfect sheen on the artists. Mainly practiced in the Thrissur district, this is predominantly a street art, mainly conducted around the Swaraj Round area, finally ending with the main Vadakkunathan temple at Thrissur. Several Pulikkali troupes assemble to participate in the event and it attracts hundreds of thousands of tourists from across the whole world. The theme of the show is that of hunters stalking and/or hurting the tigers, with the latter trying to attack and subdue the former. At present, artists use masks to cover their faces, as against earlier times, when they used to get their whole body painted, including their face. This event is now the pride of Thrissur, with the Municipal Corporation giving a massive grant for it each year. Kaikottikkali, also known as Thiruvathirakkali, is an extremely popular group dance in Kerala. Performed by Malayalee Hindu women, it is performed on all auspicious days, most importantly, Onam. It is believed that ladies perform this dance in order to attain everlasting marital bliss. Simple and comprising gentle swaying movements, along with the soft, rhythmic clapping of hands, this dance look feminine and very attractive. 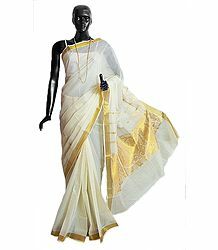 The ladies are dressed in traditional kasavu mundu or saree (off-white saree with golden border), wear traditional gold jewelry and flowers in their hair. They move in circular pattern, to the tune of the Thiruvathira Pattu or the song. The main singer sings one line and others repeat the same in a chorus. Today, the Kaikottikkali is an important part of all Malayalee functions, all over the world. Vallam Kali, literally meaning "boat game", is the traditional longboat race held in Kerala. Using all types of canoes and paddles, it is mostly conducted during Onam. The Chundan Vallam or the snake boat race is the most major event at this time, also pulling in several thousands of tourists. The Aranmula Boat Race is the oldest river boat racing event in the State. Here, the boats move in pairs, to the rhythm of the singers guiding the movement of the oarsmen with their music. The lead singers sing the Vanchippattu (boat song) and the oarsmen move their oar in a circular pattern, to its rhythm. The participants wear the traditional mundu and turbans and sing traditional boat songs. The ornamental umbrella and the flag placed on the boat are an indication of the pageantry of the participating groups. The most famous boat races in the State of Kerala include the Aranmula Uthrattadi Vallamkali at Aranmula, Pathanamthitta; the President's Trophy Boat Race in Ashtamudi lake, Kollam; the Nehru Trophy Boat Race in Punnamada Lake, Alappuzha; the Pampa Boat Race in Neerattupuram; the Kallada Boat Race in Kallada River, Kollam; the Thazhathangadi Boat Race, Kottayam; the Champakulam Moolam Boat Race; the Payippad Jalotsavam; the Kumarakom Boat Race and the Gothuruth Boat Race at the river Periyar. Thumbi Thullal is an ancient, now slowly disappearing, folk art form, which is performed by Malayalee women, during Onam. This was in fact one of the most popular events in the past. This event comprised 6 or 7 women, sitting in a circle. The main performer, referred as the Thumbi (the dragon fly, in Malayalam), would be seated in the center of the circle, holding a bunch of Thumba flowers in her hand. She would sing melodious songs and the other performers would join in later. They would clap their hands to the rhythm and sway to the music. The tempo of the song would gradually increase and the leader would brush the floor with her body, as if possessed. The rhythm of the song would then gradually reduce toward the end and the singing would fade away. This ancient tradition now finds its place in some of Kerala's cultural exhibition events and is not found much otherwise. In Malayalam, the word, "villu", means "bow". The Onavillu is essentially an indigenously created bow-shaped musical instrument, usually made from bamboo. The strings are made from bamboo slivers. The strings are struck with a thin stick, to create sounds from them. These sounds are manipulated by changing the pressure on the fingerboard. 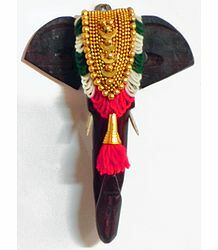 This instrument is used to accompany the Kummattikali and other folk dances performed during the festival of Onam. Like Thumbi Thullal, this ancient art form is also now on the decline and can be seen predominantly in the remote rural areas of Kerala. 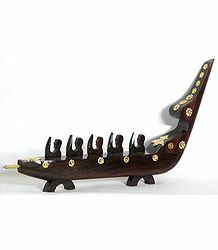 Incidentally, Onavillu also refers to wooden artifacts, which are ornamented with tassels, and are used during rituals associated with the worship of Shri Padmanabha or Lord Shri Maha Vishnu. Made from certain select types of wood, the wood is cut and then decorated with miniature paintings of the several avatars of Lord Vishnu, including the Anantha Shayanam (traditional reclining pose), the Dasavataram, instances from the Ramayana, Krishna Leela and so on. Interestingly, convicts detained at the central jail at Poojappura, situated in Thiruvananthapuram, make these tassels for adorning the Onavillus. 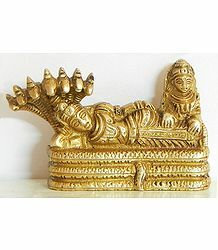 The temple trust at the Shri Padmanabhaswamy Kshetram or temple distributes Onavillus to the devotees, who believe that they are a symbol of prosperity. The Onasaddhya or the grand Onam lunch feast is the most important activity undertaken during this festival. Highly elaborate, very laborious and most sumptuous, the preparation for this feast varies in each individual household. Served on plantain leaves, it comprises about 13 to 15 curries, apart from regular everyday food items. In some wealthy households, temples and hotels, this list can go up to a total of 30 items for the feast! Malayalees are very particular never to miss the Onasaddhya. There is a popular saying in Malayalam, that "Kanam Vittum Onam Unnanam" which means, "one should partake of the feast even if one has to sell all of one's properties". The main dish in the feast is the plain boiled rice, which is served along with the other dishes, including Parippu (cooked lentils), Sambar, Rasam, Pulisseri, Avial, Kaalan, Olan, Thoran, Kootukkari, Puliyinchi, Pacchadi, Mango pickle, Lemon pickle, Papadum, Banana, Buttermilk and Plantain chips. The idea of the Onasaddhya is to include all the tastes possible. Coconut, coconut oil and coconut milk are the most abundantly used ingredients, as they are also the most easily available in the State. This is followed by serving 2 or 3 types of kheer-style sweet dishes, called Payasam. The Prathaman is similar to the Payasam, only, it is much thicker, as coconut milk is added to it. There are a variety of Prathamans, such as Palada Prathaman (which includes flakes of cooked rice, milk and sugar), Pazha Prathaman (made of Nenthrapazham, a bigger variety of plantain), Gothambu Prathaman (made of broken wheat), Parippu Prathaman (made of green gram), Chakka Prathaman (made from jackrfruit) and Kadala Prathaman (made from black gram). After the heavy lunch, it is time for fun with family. After resting for a while, people get together with their families to indulge in different recreational activities. While the younger and stronger men opt in for rigorous sports, the older men prefer to pass time by playing indoor games such as chess, cards and so on. Onakalikal is the collective name given to a set of traditional games played especially during Onam. They include a variety of ball games, archery, combat games and Kutukutu, a game, which is similar to Kabaddi. Women choose to dance and sing the evening away, swaying to the melodious strains of traditional Onappattu. One other feature of Onam includes women playing on decorated swings, which are hung from high branches. These swings are festooned with different kinds of flowers and especially the younger women take great delight in swinging high and fast, along with singing various Onam-related songs. Though the major festivities end on the Thiruvonam day, some also celebrate the next 2 days following Onam. The Third Onam, that is, the day after Onam, is called Avittam. This day marks the preparation of King Mahabali's ascension to the Heavens. On this day, the statue of the Onathappan, which was placed in the middle of the Pookalam, is removed and immersed in a nearby body of water. The Pulikkali is held for the last time during Onam that year and the participants, in full costume and makeup, parade through the city in large numbers. This event marks the end of the traditional festivities for that season. The Fourth Onam, called Chathayam, marks the very end of the festival, with the government celebrations too ending with a mega dance festival in Thiruvananthapuram. Thiruvonam falls on Monday, September 16, 2013. In the year 2014, Thiruvonam falls on September 7. In the year 2015, Thiruvonam falls on August 28. Here is wishing all our readers a very Happy Onam. Onaashamsagal to one and all! I received my order and it's fantastic. Thank you very much for making this so easy. 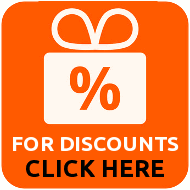 I really like most of the stuff you have on your website.